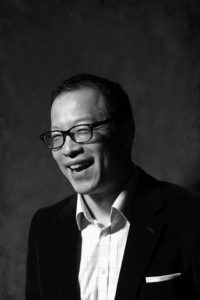 In 2010, Zhen Liu started what became China’s first hedge fund and four years later he founded the country’s first robo-advisory firm, Clipper Advisor. He has since moved into the crypto space, having recently launched Clipper Coin Capital, which he hopes to turn into an investment bank for the crypto industry.His new firm aspires to offer traditional investment banking functions for the crypto sector including advisory and consulting, industry due diligence and research as well as asset management service. The firm has gathered together a team of analysts that would apply modern financial theories and methodologies to produce ratings reports and crypto indexes on initial coin offerings and digital tokens. said Zhen, who has worked for Wall Street names as D.E. Shaw & Co, Bank of America and UBS. he said, referring to a concept coined by the Nobel-winning economist George Akerlof on how a market with varying quality of goods could lead to chaos. This would obviously beg the question of whether having suave middlemen such as Clipper Capital in the crypto sector would fly in the face of the essential “decentralized” nature of the industry. Liu disagrees because he thinks what the crypto market is trying to disrupt is the monopoly of the traditional financial market such as the onerous regulators and over-spending governments, not the free market agents like brokers and investment banks. Not surprisingly, he believes the cryptocurrency industry bubble is fueled by Chinese capital that is seeking to bypass government’s capital controls. As a result, the crypto-asset boom will not end anytime soon. Under such a situation, what Clipper Coin Capital is planning to do is to create a credible rating system for ICOs, so that investors can separate the good ICOs from the bad ones. The company, which is registered in the British Virgin Islands, also provides asset management service for high-net-worth individuals and institutional investors. It is using various strategies to help investors gain exposure to the crypto space without violating the existing regulations. The company is planning to issue exchange traded funds and crypto fund products in the coming weeks and months. Liu, who earned degrees in Physics and Computer Science before working on Wall Street, believes that it might take at least a few years for the crypto industry to have some regularity certainty. Major institutional investors are increasingly feeling left out because they are not invested in cryptos, he said. They might be looking to jump into the market only after receiving a blessing from the regulators. Currently, financial regulators across the globe have trouble fitting these crypto currencies into existing regulatory framework, but they might end up a creating special scheme that might include, for instance, say permitting them to only accredited investors. The US regulatory stance would be key because that would likely determine how the big banks would be investing in them because most of the major regulated financial institutions have big investments in the US, he said. Once the big banks are ready to move in, they would most enter the space by acquiring existing crypto players. In the interim, however, he believes lighter-touch jurisdictions such as Japan, Singapore and Switzerland would help gain an upper hand in the race in the crypto space.